Booklight Brighten your interior in a creative and original way with this Light Book. 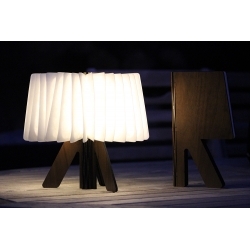 In book or lamp form, choose how it will decorate your room. The book fits to all your needs thanks to its 3 luminous intensities: white light, warm white or changing mode. The booklight has a magnetic handle provided to hang it on your umbrella or on a tree.